Art Nouveau and Art Déco mosaïc , tiles and ceramic works . The church of Saint-Gilles de Petiteville ( normandy) is devastated during the French Revolution . Once century later ,in 1892 , the building is restored by its owner Robert Gouhier de Petiteville , assisted by Christophe Édouard Mauss, the architect of the sanctuary of St. Anne of Jerusalem. The ground is then covered by a mosaic by the famous Giandomenico Facchina (1826-1903) born as an Italian Sequals , Frioul province), who worked on the renovation of mosaics in St Mark's Church in Venice and, after settling in Paris, at the Opéra Garnier. In 1906, while the castle of Dijon is finally leveled, the City gives free to the State a plot of land to build a Post Office. In Dijon, Louis Perreau is associated with the architect of the administration to build an edifice of academic style, but innovative in its design. The classic stone cladding is attached to a metal structure. This explains these three large doors with windows and a balustraded balcony supported by high consoles of stone. This set is surmounted by a decoration of polychrome sculptures and mosaics with two medallions of mosaics decorated with the rooster, symbol of the French Republic. The casino of the spa town of La Bourboule is built by Mr. Chardon from 1892. Extension works begin in 1928: the symmetry is respected, a balcony resting on columns is added over the entire length, the elevations are decorated with mosaics enhanced with gold floral motifs. 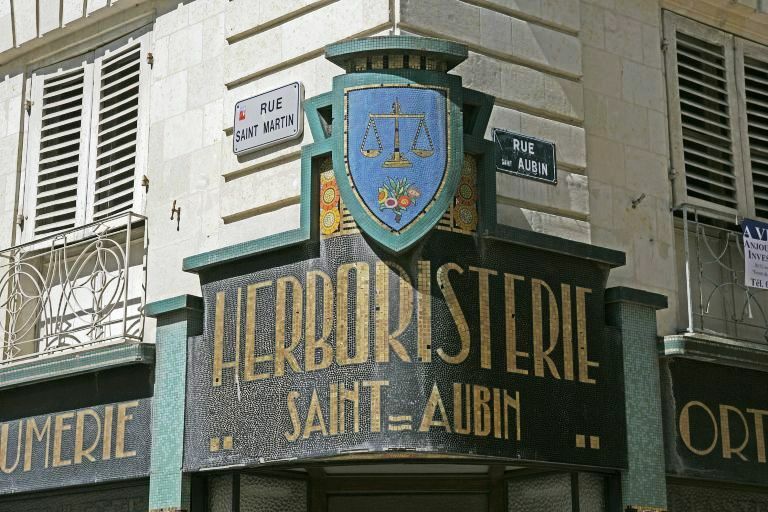 In the center, the La Bourboule coat of arms. 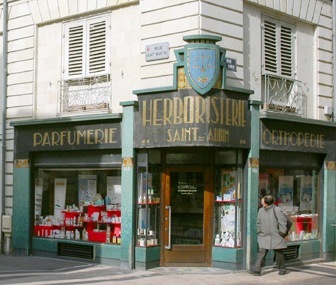 A mosaic-decorated shop is created for the herbalist Pierre Tourneux in 1934 at the corner of No. 26 rue Saint-Martin - 36 rue Saint-Aubin in Angers (France): the monogram with intertwined letters CT on the threshold of the entrance door to the store probably refers to this owner (and his wife?). The design of the storefront is due to the architect Ernest Bricard and the decor to the famous mosaicist Isidore Odorico, in its characteristic Art Déco style.. The initial look of the shop can be seen hereunder. Mosaïc on the ceiling of the chapel in the WWII american cemetery in Colleville near Omaha-beach , Normandy. In this cemetary almost 10 000 american soldiers killed in the 1944 fights in France are buried. 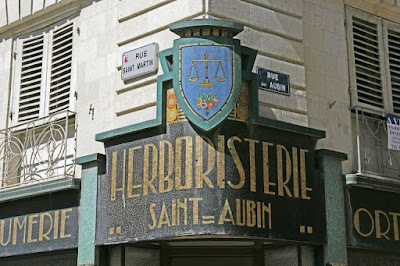 The Rozier bakery and pastry had its decoration of the facade, made by the mosaicists Gentil and Bourdet, combining the floral theme and that of water and inspired by the art deco styl. Diversity of drawings, but also colors and materials (traditional tesserae, pieces with glossy or matte surface) enhance the neo-Louis XVI style windows. The decor was designed in 1920 by architect Louis Jarrier. Geodaszner. Thème Éthéré. Fourni par Blogger.